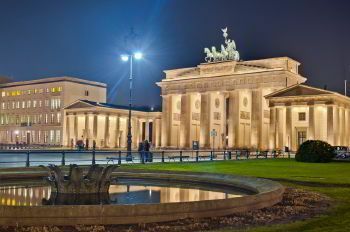 Germany is one of the most significant business centers in Europe. Its neighboring countries such as Belgium, Netherlands, France, Luxembourg, etc., makes it even a more important place to visit in the western part. Berlin is the capital of Germany, but other cities as Hamburg, Munich, Frankfurt, Dresden, Cologne, Essen, Stuttgart, Hanover, Dusseldorf are of great business importance. Whenever you are traveling to one of these cities, you are welcome to rent a vehicle with a driver at most profitable offers. Hire a car in Germany and visit its wonderful destinations. 8Rental is one of the most reliable chauffeured services in Germany. Providing a series of most convenient amenities for all type of clients, 8Rental has managed to gain a reputation of an irrefutable service you can rely on any time. Whatever you can expect from a car rental service, you will get from 8Rental! 8Rental is at your full disposal any time you wish! 8Rental is proud to offer you 24/7 customer support. Whenever you need to hire a car with driver in Germany, you can get a quote and fill it out. In a matter of time, your order will proceed and the vehicle you want will meet you at the stated location. Please note that 8Rental cooperates with all airports in Germany such as Frankfurt, Berlin Tegel, Munich, Hamburg, Cologne, and others. Our friendly staff is always online to answer all your questions. 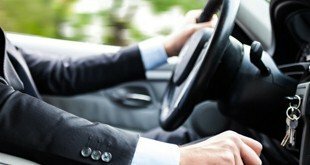 Just contact us and you will see what it means to deal with a responsible supplier for car rental and chauffeur service! Are you a fan of Mercedes brand? Or perhaps you love traveling by BMW? Whatever car you like, 8Rental is ready to offer it or a perfect alternative. Cars - All the cars are in perfect condition equipped with necessary specifications to drive in comfort. If you book one of our cars we can offer such comfortable cars as Ford Mondeo, Volkswagen Passat, Toyota Camry, Mercedes S and E class cars, as well as BMW 5 and 7, Audi A6 and A8 models. Undoubtedly, you will find one of these cars suitable for your needs. Minivans - Hire a minivan with a driver in Germany to drive you and friends in complete comfort (if you are on a vacation) or colleagues (if you are here on business). A Mercedes Viano will accommodate from four to eight passengers and is a perfect choice for those who have a limited budget. However, despite the affordable cost of hiring this van, it's equipped with a series of premium features involving central heating, air conditioning, comfy seats, tinted windows, etc. Anyway, if you are in a search of a more spacious option, why won't you book a Mercedes Sprinter capable of driving up to twenty-four passengers? Be certain, this vehicle is what you need! Buses - For a larger group of tourists, it's advisable to rent a bus with a driver in Germany. A Mercedes Tourismo is a perfect bus fully equipped with such premium features as a toilet, air conditioning, fridge, TV, CD/DVD player, and others. Hire a chauffeur-driven bus in Germany on most profitable basis! Limousines - If you are used to driving in chic and luxury, a gorgeous limousine is what you choose. At 8Rental there are two limo options offered. The Chrysler 300C for up to nine persons, and Cadillac Escalade for up to nineteen persons. Whichever limo you select, an unforgettable driving experience is guaranteed! 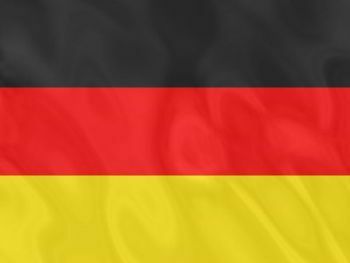 Rent a luxury limo with a licensed driver in Germany on an affordable price from 8Rental. 8Rental has a high-quality service which focuses mainly on customers' safety. Therefore, it has a team of staff drivers our customers can fully rely on. They are real professionals with years of practice in the sphere of passenger transportation and a sense of responsibility for the safety of their passengers. Our service is highly appreciated particularly by the chance to choose the driver our clients wish. If you can't stand smoking people, you may rent a non-smoking driver. Besides, we have not only German-speaking but also English, Russian, French, Dutch and Spanish speaking drivers. Our chauffeurs know well Germany's cities and roads. Just name the address to our driver and he will drive you in the right direction! 8Rental loves surprising its clients. The necessary fuel will be provided entirely for free, regardless of your destination or time! We shall provide you with medical insurance in case of an accident, but there is no need to worry as no accident has ever been registered with the participation of 8Rental drivers. Other extras are offered via optional amenities in the vehicles you book. These can be minibars, TVs, etc. Make the most out of your time in Germany with 8Rental!